Pasay City will be marking its 149th foundation anniversary this December 2, which falls on a Sunday this year. On this day last year, President Benigno Aquino III issued Proclamation 294 (click here to read its full text) which declared December 2 as a special non-working holiday on the said city in Metro Manila. Aquino is expected to issue a similar proclamation anytime soon, or the city government of Pasay may make the declaration unilaterally. Please check this site for updates in the coming days. 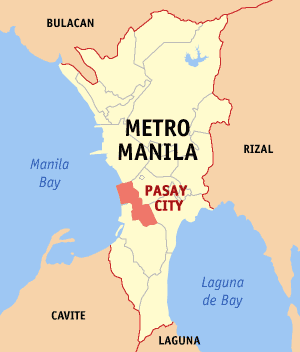 According to the city’s website, Pasay became a pueblo (the Spanish-era equivalent of a town, it was led by a gobernadorcillo) on December 2, 1863 upon the recommendation of Archbishop Gregorio Martinez of Sta. Cruz. A year before it, several prominent citizens of Pasay sent a petition to civil and ecclesiastical authorities for them to be allowed to manage their own political and religious affairs. Martinez, who eventually became the Archbishop of Manila, is forever remembered in Philippine history for his refusal to defrock Fathers Mariano Gomez, Jose Burgos, and Jacinto Zamora prior to their execution in 1872. Instead, he ordered the tolling of the bells in every church in honor of them. PS: The Filipino Scribe is nominated to receive the People’s Choice Award in this year’s edition of the Pinoy Expats/OFW Blog Awards (PEBA) – OFW Supporter category. Visit PEBA’s website (www.pinoyblogawards.com) and check out this part in the page’s right side to vote for us. Thank you so much in advance!